The drive to Marianna along Interstate 10 is still littered with downed trees and broken road signs. The road is narrowed to one lane at points, as workers in bulldozers try to make a dent in a seemingly endless supply of debris left by the storm. Inside the city, trees still lay on houses. Roofs have given way to blue tarps. Branches, tree trunks and wreckage line the streets. Betty Roberts, a Marianna resident, has one word to describe the recovery: slow. "It’s frustrating because you have to wait for somebody to have time to come do the repairs," said Roberts. "So I haven’t had anything done at my house yet." A number of officials have recently visited the Panhandle, including Gov. Ron DeSantis. Roberts appreciates that, but, she said, the Florida Legislature moves slow and that can be disheartening. “At least you feel like you’re not forgotten," said Roberts. Roberts said she is lucky; damage to her property was not too bad. A tree fell on her patio and the 150 mph winds ripped the vinyl siding off her house. Others, like lifelong Marianna resident Lawrence Adkins, were not as fortunate. Adkins' mobile home was blown from its cinderblock foundation and the roof was torn off. He recalled the wind knocking down trees like dominoes. Adkins moved in with his 85-year-old mother after the storm ruined his home. He fixed a few fences that were damaged by fallen trees, but at 65 and disabled, Adkins cannot do much by himself. There are not enough contractors to keep up with the amount of work to be done, he said. Adkins has been through hurricanes before, but to him, Hurricane Michael was different. Agriculture is the lifeblood of Northwest Florida. Timber mills employ and touch entire towns. Statewide, the losses from 72 million tons of downed trees have exceeded 1.3 billion dollars, according to the Department of Agriculture and Consumer Services. Fried is calling for a sales tax exemption for equipment and materials, state-backed, low-cost loans for farmers and a cost-sharing program for irrigation upgrades. Aside from the economic impact, there is another danger. The threat of forest fires – already common in the region – is amplified by debris left from the storm. 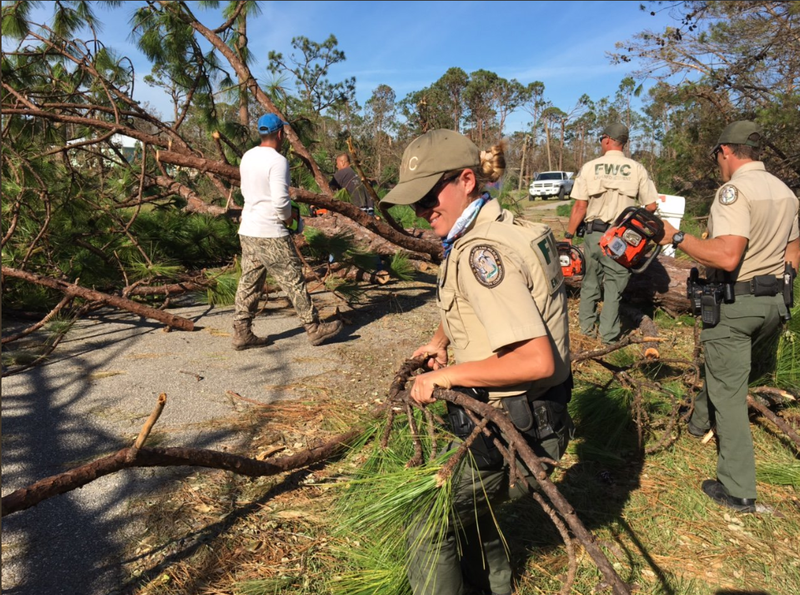 Jim Karels, director of the Florida Forest Service, said the downed trees are dangerous fuel just waiting for a spark. DeSantis announced earlier this month the Federal Emergency Management Agency is extending the deadline for 100 percent reimbursement from just five days to 45. The extension came after a meeting with Pres. Donald Trump. State lawmakers are working on an aid package for the region. They are considering tapping funds from the Deepwater Horizon Oil Spill settlement and a constitutional amendment aimed at purchasing conservation land. Fried stressed that she will continue to fight for the community. "We have your backs and we'll be here every step along the way," Fried told Panhandle residents. Fried was joined by Rep. Brad Drake (R-Eucheeanna). He told the commissioner the area "stands with our arms open. We will accept you into this community. You are a part of us now." But for people living here, the future is still unclear. Many sunk their life savings into small timber farms as their retirement plan. Some, like Adkins, said they just are not sure the community will bounce back. More than three months after Hurricane Michael slammed into the Florida Panhandle, communities now are struggling with the storm's financial aftermath. 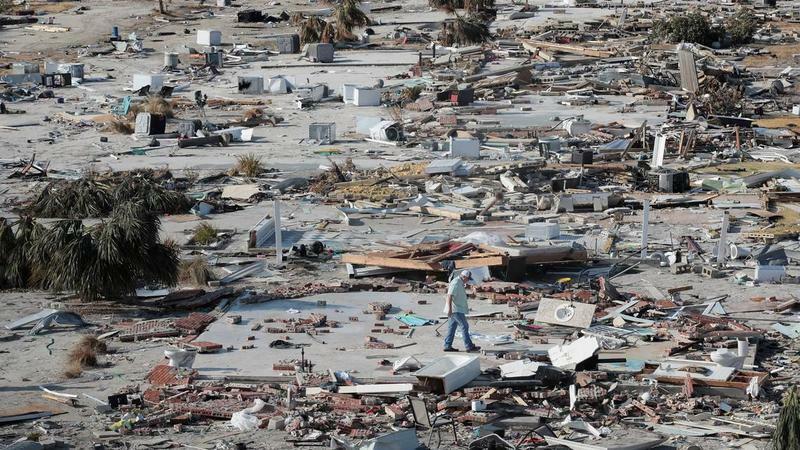 In Mexico Beach, where Michael's 155 mile-per-hour winds flattened more than three-quarters of the homes, just removing the debris threatens to bankrupt the city. It could take a decade or more for Florida's timber industry to recover from Hurricane Michael's devastation, and the countless downed trees pose an immediate wildfire threat, Forida Forest Service Director Jim Karels told a Senate committee Tuesday. 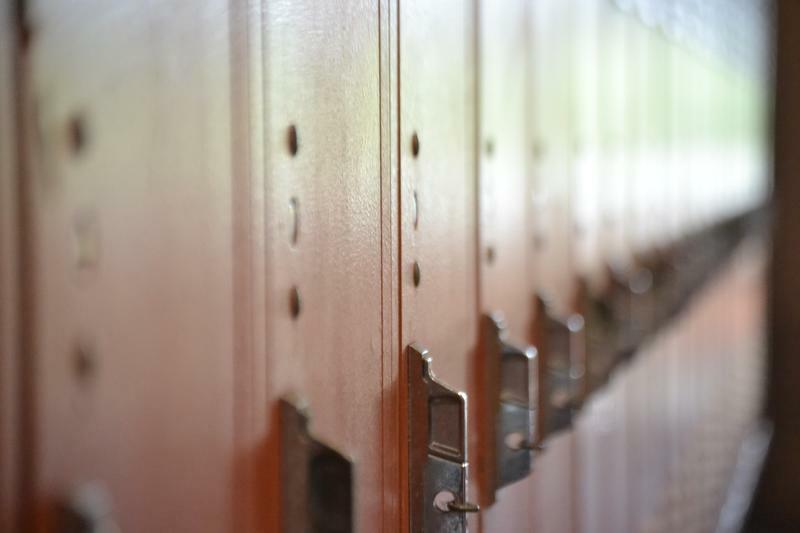 With the annual legislative session nearing, lawmakers and education leaders likely will have to grapple with the fallout of Hurricane Michael on Northwest Florida school districts and continued questions about how to bolster school safety throughout the state. Gov. 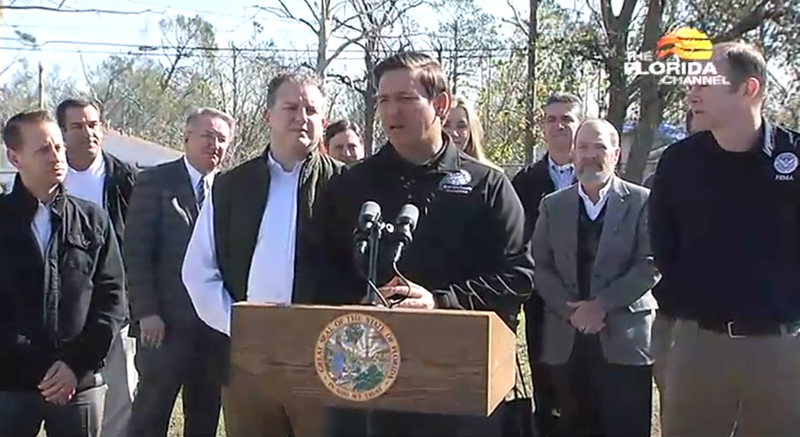 Ron DeSantis is expediting money for debris removal in communities impacted by Hurricane Michael. DeSantis also wants the U.S. government to take on a bigger share of the recovery costs. Hurricane Michael, which pummeled 10 Panhandle counties and spurred evacuation orders for 375,000 Floridians in October, left nearly seven times the debris of Hurricane Irma, which barreled across 45 counties in 2017. 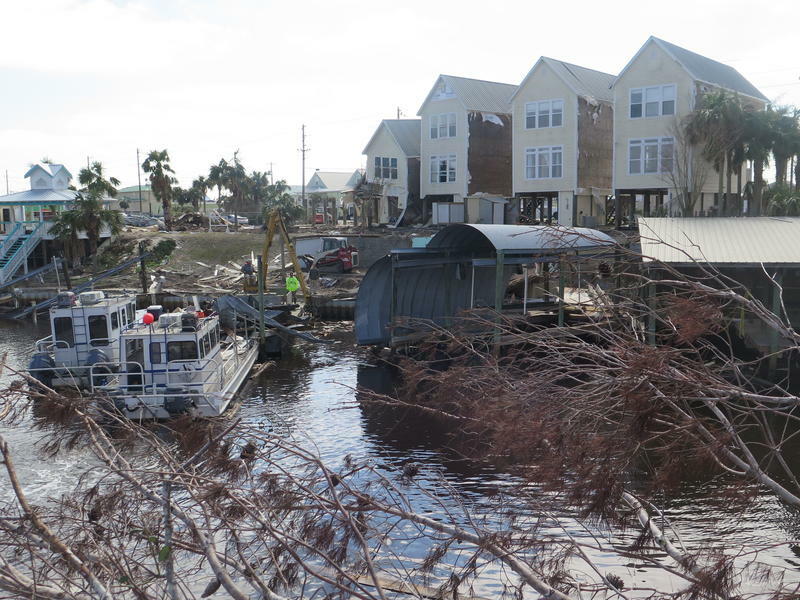 And in the three months since Michael came ashore at Mexico Beach, debris continues to be picked up, more than 102,000 people have registered for assistance and 16 counties have qualified for federal aid.